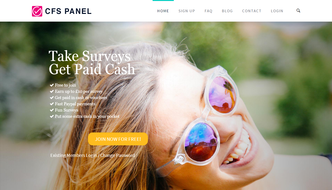 This a new and exclusive survey panel powered by one of the biggest market research companies in the world, Cint. At the Cash for Surveys panel (CFS Panel) you can earn 50p – £3 on average for each survey that you complete. Longer and more complex surveys will offer higher rewards up to £10 each. Surveys are very regular so your money will add up quickly. 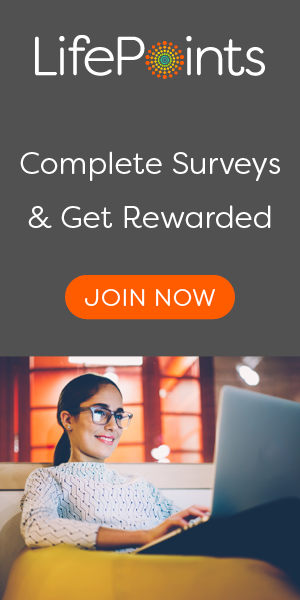 You will typically spend around 10 – 20 mins on each paid survey. Once you have accumulated just £8 in your account your money will be sent directly and instantaneously to your Paypal. Cash Sent via Paypal: Any money that you earn will be added to your account balance. Once you have just £8 in your account you can cash out for a payment directly to Paypal. You can choose to wait till your money has built up to a higher amount before you cash out if you want. Payments are sent instantly once you have requested your funds. You will be charged a small 2% handling fee by Paypal for receiving your funds. Redeem Amazon vouchers: As well as Paypal you also have the option to save £10 ($12.50 in US) in your account and cash out for a £10 Amazon voucher. Once your order has processed you will receive an e-voucher sent to your email address which can be used straight away to buy stuff on Amazon. The CFS Panel is powered by Cint. Cint are one of the biggest Market Research companies in the world. They run thousands of panels around the world, reaching 10 million people in 57 countries. The company is headquartered in Sweden and has offices in major cities in Europe, North America and Asia. To get started on the survey panel simply fill in your personal details via the short registration form and click on the link in the confirmation email to confirm your account. In order to increase your chances of receiving as many high paying surveys as possible you must next fill in the short profile surveys. By completing the profiles in full will allow the panel to send you as many relevant survey opportunities as possible. When a paid survey that matches your target group becomes available you will be sent an email. The email invitation will contain the length and how much you will receive should you complete it in full and not be screened out. You can also login to your account at any time to see what surveys are available for you to take part in. Once you have completed a survey you will be placed in a ‘quarantine pool’ for around a week until all other members have completed that particular project. Once the project is complete your money will be added to your account and you will be available to participate in more online surveys. Eligibility: You must be aged 14 or above to join. UK or USA residents only. The USA registration page can be found here.